Well I am very happy. I have had it at the back of my mind for months that Aaron needs to go up to the next car seat.... In December I was happy to stretch things out as we spent 3 weeks in Ireland in January and you can't beat the convenience of a carry handle car seat. Anyhoo! moving on.... I could not decide and felt stressed every time I thought about it. This car seat does 9 months to 11 years!!!!!!!!!! and is currently on offer with Mothercare. This offer's on till 17th April 2011. This is not in any way a sponsored post... I wish!!! I am just happy with my bargain.....! 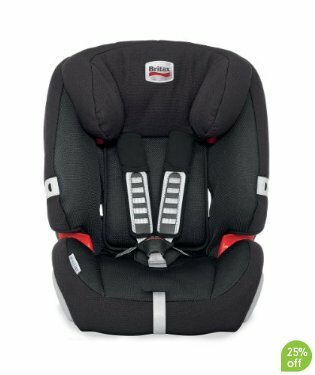 My one reservation was that 2 of my favourite bloggers had blogged about car seats a few months ago so I went back to their blogs in case they had blogged about a better car seat, but luckily (look at this review) it's the same one..... Lucky "Mummy's Little Monkey" got hers provided - wish I did! Very happy with my purchase. Click here and then click "view video". If you watch the video you may just love it as much as me, and I haven't even seen it in the flesh yet.